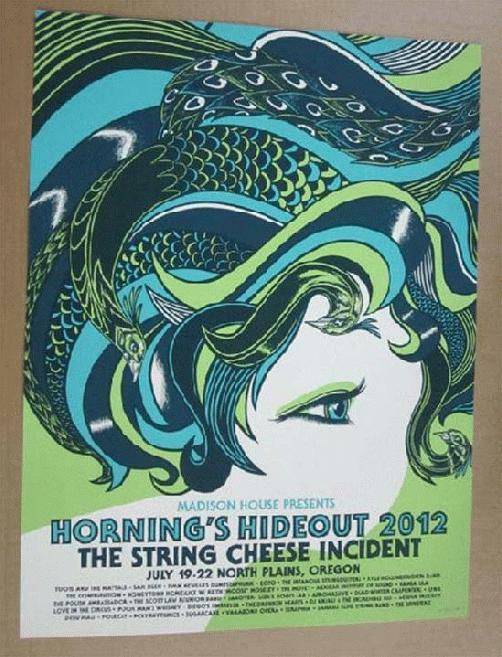 Beautiful silkscreen concert poster for The String Cheese Incident at Horning's Hideout in North Plains, OR in 2012. 18 x 24 inches. Signed and numbered out of only 35 as a printer proof by the artist theBungaloo.